It’s not exactly the first thing I would want to be greeted with in the morning, but as long as there is coffee involved, I think I could embrace this Megawing Teeth Mug. 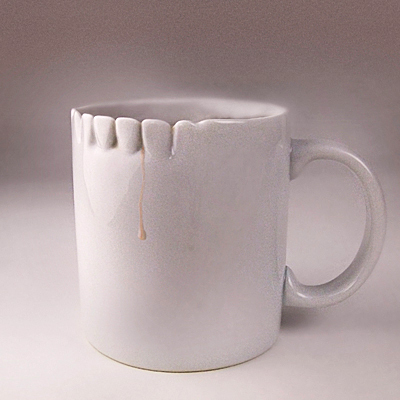 The hand-carved ceramic mug features a healthy overbite (or would that be an underbite?) and is sure to bring a smile to your face. Unless of course, there’s decaf in that cup, in which case those pearly whites will be greeted with bared fangs.